Welcome to our blog Village Vignettes. 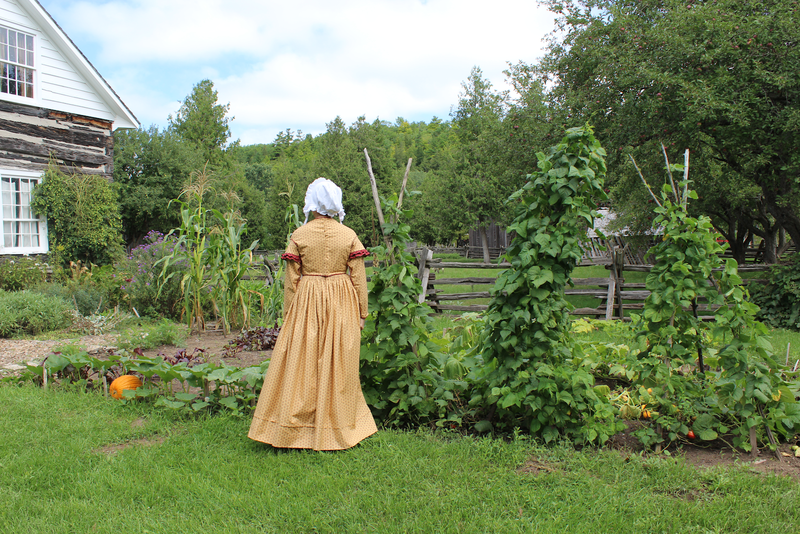 Here we will post stories and facts that we hope will be interesting, educational and just plain fun, written by members of the Lang Pioneer Village Museum community. We hope you enjoy! As Christmas approaches, thoughts begin to turn to the age-old traditions surrounding the holiday. For some, favorites may be the exchange of gifts, others may adore the family gathering, but for many the meals surrounding Christmas are the highlight of the holiday. Amongst children, the best part of the Christmas meal is the final course: dessert. But is this consistent throughout history? What did they eat at the end of the meal in the 1800s? Just like today, one of the most popular cookie recipes of the Christmas table in the 1800s was gingerbread. These cinnamon-ginger cookies have been a hit with people throughout history, first becoming popular in Europe in the 1500s. Just like today, they were cut into the shapes, sometimes of flowers, diamonds, or men. However, in the 1800s, they were often molded using intricately carved wooden stamps, pressed into the soft dough and then baked. 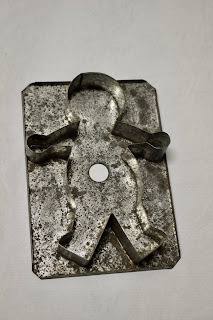 The popularity of using these cookies to build houses, just as we do today, was likely started with the release of the stories by the Brothers Grimm. The story of Hansel and Gretel, with the witch living in a house of gingerbread, popularized the idea of a house made of cookie. Due to the limited availability of ingredients, particularly in the deep Canadian winters, gingerbread recipes varied greatly. Because of the lack of availability of fresh produce and white sugar, the cookies were more frequently made with dried spices, brown sugar, and molasses, characterizing the dark molasses flavor we think of today. It is believed that the gingerbread cookie as we know it was based on the speculaas cookie, another spiced cookie. Soft gingerbread, a more cake-like spiced bread, was made popular in North America by Mary Washington, mother of George Washington, during the 1700s. If you want to test out a traditional recipe, here is one from the New York Times Heritage Cookbook. Happy baking! Remove the dough from the fridge and preheat the oven to 350 degrees. Cut with a well-floured cookie cutter, and, using a spatula, move them to a parchment lined cookie pan. You can also roll the dough out on parchment, then cut the cookies leaving about ½ inch between them, and simply remove the excess dough and re-roll. This eliminates the step of moving the dough. Bake for 12-15 minutes. While the first batch is in the oven, continue with the remaining dough, working with ¼ at a time. By keeping the dough chilled, it is easier to work with. Decorate! In the 1800s, cookies that were decorated were frequently for nobility and the rich, so they were decorated with gold leaf, however dried fruit, sprinkles, royal icing and candy are most popular today! Laeticia is a student at Trinity College School and guest writer for the Museum. 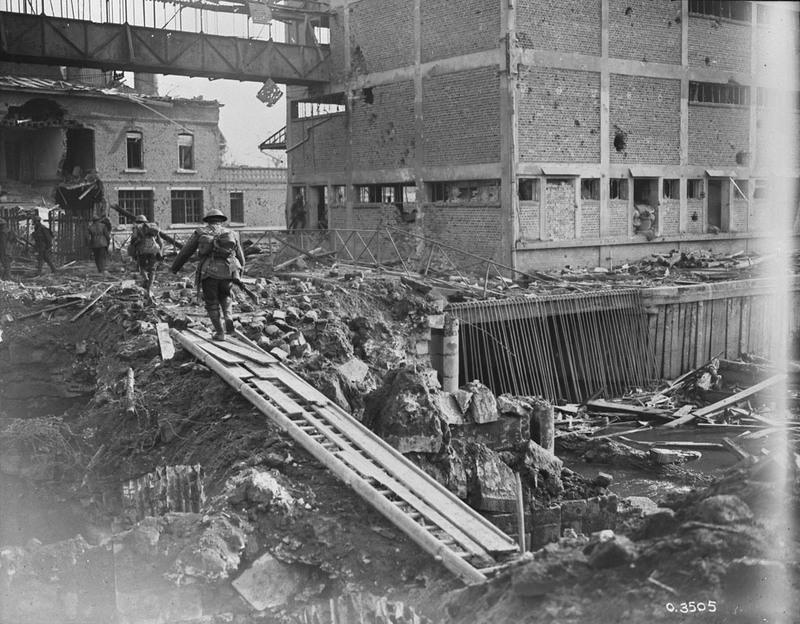 In this 6th and final entry in the series entitled “My Grandfather’s War” we look back on the final days of the Canadian Corps’ involvement in the fighting leading up to the liberation of the Belgian city of Mons. The Corps had been in almost continuous action over the “100 Days Campaign” facing stiff resistance from the retreating German army. As the 8th of November 1918 dawned, events were occurring at a rapid pace with the end of the war in sight. On the heels of their passage of the Grand Honnelle, November 5 – 7, 1918, the Canadians continued their drive eastward towards Mons. On November 8th the 3rd Canadian Division cleared the villages of Thivencelle and St. Aybert of German troops. In the evening these troops crossed the Canal de Conde in the dark and gained a foothold on the northern bank. In the south of the Canadian Corps front the 2nd Division took the village of Dour. November 9th saw the Princess Patricia’s Canadian Light Infantry regiment reach the suburb of Jemappes after an advance of more than 8 kilometers. By nightfall that day, the 2nd Division had reached a line near the village of Bougnies which was only 6.5 kms south of Mons. At the same time, the 3rd Division had reached the Frameries – Mons road. In Germany, Kaiser Wilhelm II, the head of state and the armed forces, abdicated and went into exile in the Netherlands. A new government was installed and it immediately sought to negotiate an armistice with the allies. By 11:00 pm on the night of November 10th, the 2nd Division had occupied the village of Hyon to the south west of Mons. Units of the Canadian Corps then began to enter the city of Mons clearing eastward while other troops crossed the Canal de la Derivation and moved north west of the city. At 6:30 am on November 11th, the Canadian Corps headquarters was notified that the armistice would take effect at 11:00 am that day. None-the-less, the pursuit continued reaching a line eight kilometers north-east of Mons by the time hostilities ceased. Pvt. George Lawrence Price was born in Nova Scotia on December 15, 1892. By the time he was conscripted into the army on October 15, 1917 he was living in Moose Jaw Saskatchewan. He was serving with “A” company of the 28th Battalion (Northwest) of the Canadian Expeditionary Forces on November 11, 1918. 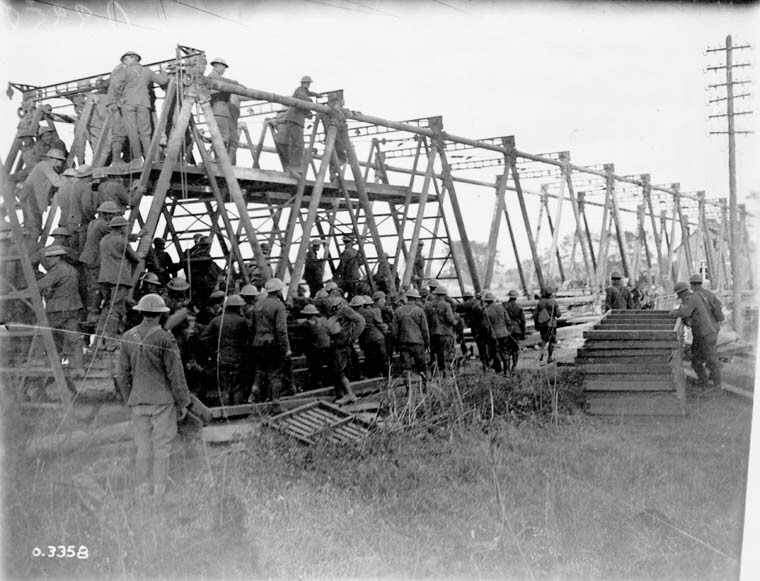 Starting at 4:00 am, Price’s battalion advanced from Frameries (south of Mons) to the village of Havre securing bridges over the Canal du Centre. The 28th Battalion made a rapid advance encountering only light resistance until they reached a position along the canal facing the community of Ville-sur-Haine. At this point, Price and a buddy, Art Goodmurphy, noticed some suspicious activity on the other bank of the canal. It appeared to them that the Germans were preparing firing positions in houses on the far side of the canal. Price and Goodmurphy, on their own initiative, organized a 5-man patrol to cross the bridge and investigate. They discovered that the Germans were setting up machine guns along a brick wall overlooking the canal. The Germans opened fire on the patrol but the Canadians were able to duck behind a house and avoid being hit. Aware that they were being outflanked, the Germans started to retreat. A Belgian family in one of the houses warned the Canadians to be careful as they followed the retreating Germans. It was at this point that Price was shot by a sniper as he stepped out of the house. He was dragged into a building and treated by a Belgian nurse who happened to be on the scene but died a minute later at 10:58 am. Price was the last Canadian and British Empire soldier to die in combat during the Great War and one of almost 3,000 soldiers killed on the last day of the war. The “In Flanders Fields” blog started in April of 2015 and, as a 100th anniversary retrospective, traced the history of Canada’s involvement in the Great War from the time of the 2nd Battle of Ypres, the Canadian Expeditionary Force’s baptism of fire, to November 11th, 1918. Over that time I’ve learned a lot about the contribution that our nation made during the course of that conflict. Over the years this series has profiled the growth and development of the Canadian Corps and highlighted its leadership and some of the more notable battles it was involved in including Vimy Ridge, Passchendaele, Amiens and the 100 Days. It has profiled notable individuals including Princess Patricia, John McCrae, Arthur Currie, Francis Pegahmagabow and Talbot Papineau. As an avid student of history, it has helped me explore areas of interest to a level I wouldn’t have reached without the discipline of producing timely articles on major Canadian wartime events. As the timeline progressed to the time of the centennial of my grandfather’s participation in the Great War, this series of blogs also became a journey of personal discovery into his life and circumstances. My grandfather’s post-war experiences saw him hospitalized and uncommunicative in the 1930’s. Although he lived into the 1970’s, neither his three children nor his seventeen grandchildren alive at the time of his death have strong memories of him. It is the price he and we paid for his 14 months as a member of the Canadian Expeditionary Forces. Having obtained copies of his service records from the National Archives, I was able to research his activities and location from May 1st to November 11th, 1918, As a result, I was able to connect with my grandfather, Charles O’Connor, in a way I could never do before. Tracing his progress from basic training at Camp Borden, his voyage to England, his time at Camp Witley in Surrey England and then to the front lines in northern France and Belgium, gave me insights into what he was experiencing and what was happening in the world at that time. Interestingly, his service documents show he was paid a total of $280.00 for his fourteen months (May 1918 to July 1919) in the army. On Remembrance Day 2018, for the first time in my life, I could look back with certainty knowing that he was in Belgium near Mons as the fighting came to an end. It was a personal revelation and one I have been able to share with my five siblings and sixteen cousins who were all alive at the time of my grandfather’s passing but who never had a chance to know him either. For that opportunity I am most grateful. Joe Corrigan was the Museum Manager at Lang Pioneer Village from February of 2003 until his retirement in May of 2018. He has been a lifelong student of history. His specific areas of interest are Canadian and world political, military and sports history with a particular focus on biographical works. “For most conspicuous bravery before Valenciennes on 1st November, 1918 when a machine gun opened fire on his platoon. Without a moment’s hesitation Serjt. Cairns seized a Lewis gun (light machine gun) and single handed, in the face of direct fire, rushed the post, killed the crew of five, and captured the gun. Later, when the line was held up by machine gun fire, he again rushed forward, killing 12 enemy and capturing 18 and two guns. Subsequently, when the advance was held up by machine guns and field guns, although wounded, he led a small party to outflank them, killing many, forcing about 50 to surrender and capturing all the guns. After consolidation he went with a battle patrol to exploit Marly and forced 60 enemy to surrender. Whilst disarming the party he was severely wounded. Nevertheless, he opened fire and inflicted heavy losses. Finally he was rushed by about 20 enemy and collapsed from weakness and loss of blood. The following day fighting continued. By nightfall the 4th Division had advanced to the Village of St. Saulve, about 1.5 kilometers east of Valenciennes while the 3rd Division had managed to pull even with them despite facing stiff German opposition. By the end of the day’s fighting on November 3rd, 1918, 4th Division patrols had penetrated to the Estreux-Onnaing road about 5 kilometers to the east of Valenciennes. By now, news came of the fact that Germany’s ally Austria had signed an armistice and was out of the war. Coming closely on the heels of a similar announcements about the Ottoman Empire and Bulgaria it meant that Germany was now alone. The end of the war was clearly in sight. It was now no longer a matter of if but when. The situation in Germany was coming to a climax as well with the navy in mutiny and signs of revolution among the populous. The battle began with the 4th Division’s artillery barrage in preparation for an attack on the German position east of the Aunelle River. To the north, the 3rd Division’s assault on the mining town of Vicq met with strong opposition. 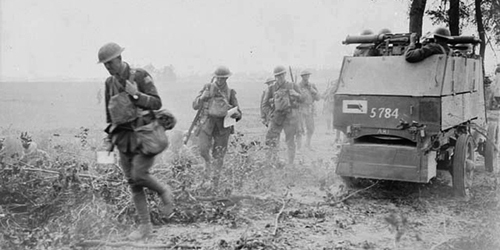 Canadian troops gained a foothold but were driven back by intense German machine gun and artillery fire. Heavy fighting continued on November 5th culminating in the 4th Division taking the village of Quarouble. Other units were halted by strong German defenses situated in a large mining slag heap west of the Aunelle River. The 3rd Division was finally able to secure the town of Vicq. 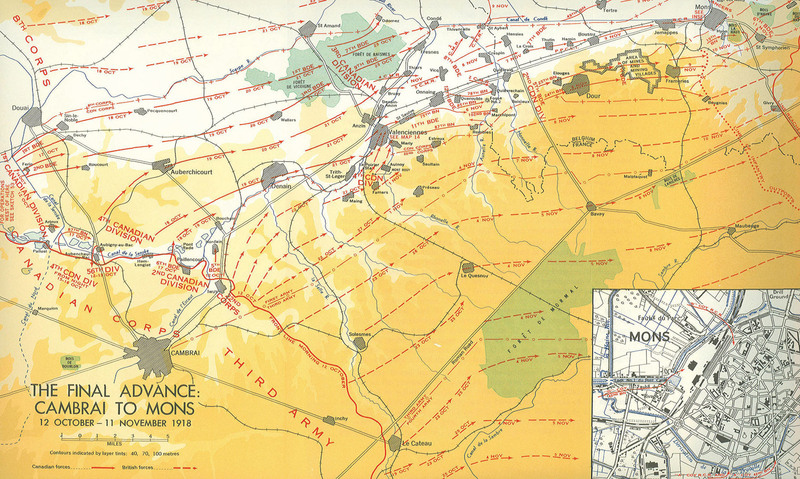 The 4th Division gained control of the Petit and Grande Honnelle River along its entire front on the 6th. In the north, the village of Crespin was taken along with crossings at the Aunelle and Honnelle Rivers. November 7th saw the 3rd Division occupy the villages of La Croix and Hensies north of the main road. At the southern end of the Canadian Corps section of the front line, the 2nd Division advanced 5 kilometers to take the village of Elouges. Charles O’Connor was serving at this time with the 15th Battalion (48th Highlanders of Canada) which was in the battle order of the Canadian Corps’ 1st Division. Lacking specific information about where the 1st Division was engaged during this period, one can only assume that they were in reserve playing a supporting role as the 2nd, 3rd, and 4th Divisions took the lead in these assaults. Our next installment will cover the period from November 8th to 11th and the final battle outside of the Belgium city of mons. My grandfather, Charles O’Connor, reported to the 15th Battalion Canadian Expeditionary Force as a replacement on October 21, 1918. He would have travelled through the battle scared landscape of northern France on his way to join his battalion at the front to the east of the French city of Cambrai. The experience would certainly have been a sobering one coming from the relative safety of England. General Currie and the Canadian Corps would drive the German army back a total of seventy kilometres during the final thirty-two days of the war. The goal of liberating Mons had historic significance. 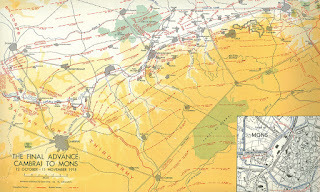 Mons was the location where the British Expeditionary Force had first joined battle with the Germans on August 23, 1914. The small professional British Army, labelled “a contemptable little army” by Kaiser Wilhelm, had been forced to retreat following that confrontation. Mons was the place where the first British soldier had fallen in the Great War and it would also be the place where the last Canadian soldier (and possibly the last soldier on the Western Front) would fall as well. 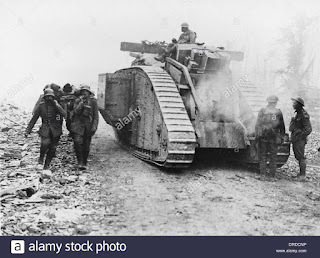 Following the battle of Cambrai, British forces advanced 3.2 kilometers liberating the towns of Naves and Thun-Saint-Martin after which German resistance began to stiffen. 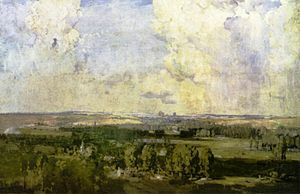 On October 11th, 1918, the 4th British Army moved into the vicinity of Le Cateau, a town that is situated on the Selle River. The Germans took up a defensive position on the east side of the river. The advancing British troops were faced with the challenge, not only of crossing the river, but assaulting the railway embankment and the ridge immediately adjacent to the east bank. It was determined that a night assault would be the best way to begin the attack. The river was fairly swallow at this time and planks would be used to support the infantry attack to be followed up with pontoon bridges to allow the horse drawn artillery to support the advance. After a six day halt to make preparations, an artillery barrage opened up and the troops advanced at 5:20 a.m. on October 17th. Infantry and tanks supported by a creeping barrage advanced along a 16 kilometer front south of Le Cateau. Despite stiff resistance and uncut barbed wire, the attack advanced and, by nightfall, Le Cateau was in allied hands. Over the next two days the 4th Army drove the Germans back another 8 kilometers advancing towards the Canal de la Sambre. The Canadian Corps was attached at this point to the British 3rd Army occupying the front line to the north of the 4th Army attacks. These formations launched a surprise night attack on October 20th in conjunction with the British 1st Army situated further to the north. The 3rd Army was able to secure the high ground east of the Selle. Following a two-day pause in the fighting to bring up supporting heavy artillery, the 1st, 3rd, and 4th British Armies renewed a combined offensive on the 23rd and 24th of October. They forced the Germans to withdraw at a controlled pace. The Germans attempted a counter attack at the Canal de la Derivation on the 24th but were repulsed and subsequently driven back by the Belgian Army. After which the battle came to a close. On October 21st, 1918, Charles O’Connor and the 15th Battalion, which was part of the 1st Brigade in the 1st Canadian Division, was located in the Foret De Vicoigne just west of the road between St. Armand and Anzin in France pictured above. 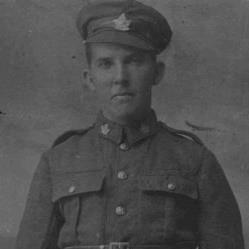 My grandfather, Charles O’Connor of Whitby, Ontario, was inducted into the Canadian Army in May of 1918. He received his basic training at Camp Borden near Barrie, Ontario, sailed for England in June and spent the summer at Camp Witley in Surrey, England undergoing further combat training prior to being sent to the Western Front. In the meantime, the Canadian Corps had been heavily engaged in the fighting and was in dire need of replacements. From August 8th until November 11th, 1918, the Canadians were in the forefront of a campaign which would become known as the “100 Days”. It would lead to the armistice and gain the Canadian Corps a reputation for valour but at a terrible price. On August 8th the Canadians were assigned the important objective of attacking a German-held salient near Amiens in France. Secrecy was extremely important as the allies knew that if the Germans heard that the Canadians were moving into a sector they would know that an attack was imminent. Such was the respect the Canadians had earned from both sides after their victories at Vimy Ridge and Passchendaele. Prior to the attack, part of the Corps was sent north to Ypres in Belgium to deceive the Germans. As part of the surprise, the attack began at night with no preliminary bombardment. 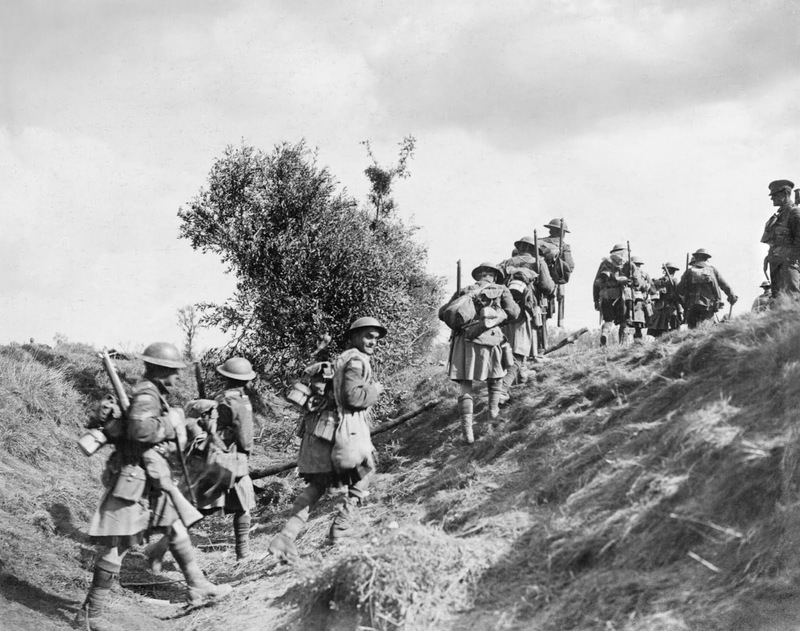 The Canadians, flanked by Australian and French troops and supported by British tanks, advanced 20 kilometers in 3 days. German Chief of Staff General Erich Ludendorff, declared August 8th to be a “black day for the German Army”. August 8, 9 & 10 were also costly days for the Canadian Army having sustained 9,074 casualties, only slightly less than at Vimy 16 months before. As a result of the attacks in August, the Germans had been forced to fall back on their defenses that were part of the formidable “Hindenburg Line”. The allies were now poised to assault these defenses and hopefully drive the Germans back and begin a war of movement that had not been seen on the Western Front since the early days of the war in 1914. The Battle of Canal Du Nord took place along an incomplete section of the canal on the outskirts of the City of Cambrai in the Nord-Pas-de-Calais region of France. The action took place between September 27th and October 1st, 1918 and was part of a series of coordinated allied attacks on the Western Front designed to prevent the Germans from sending reinforcements against any one advance. The attack took place one day after the Franco-American Meuse-Argonne Offensive to the south, one day before an attack by the Belgians in Flanders and two days before the Battle of St. Quentin Canal. 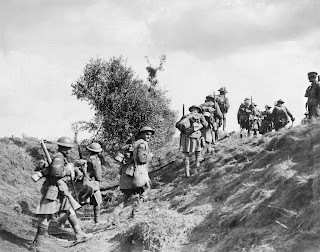 The Canadian Corps, under the command of Lieutenant General Arthur Currie, was assigned to the British First Army front and would lead the attack on the incomplete dry section of the canal on a front of only 2,500 meters between Sains-les-Marquion and Moeuvres. The British High Command had questioned the wisdom of the assault on such a narrow front. They feared the Germans would be able to concentrate their artillery on this section of the canal and cut down the Canadians as they tried to make their way across the canal bed and up the steep eastern embankment. Currie’s confidence in the Corps abilities won the day and his plan would be followed. Currie, along with Australian General Monash, were considered the best tacticians that the allies had. Long gone were the days when “colonial” troops were seen as inferior to British soldiers. General Currie separated the Canadian Corps’ objectives into a two-stage process. 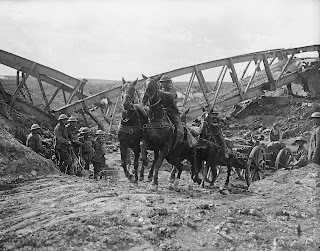 They would first take the Canal Du Nord and the nearby Bourlon Wood to be followed by assaults on the bridges at Canal de l'Escaut and the high ground in the vicinity of Cambrai. 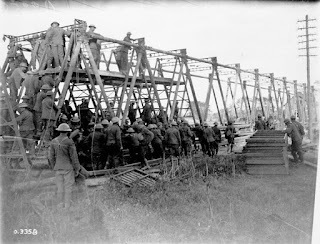 Canadian combat engineers constructed wooden bridges prior to the assault so that reinforcements could support the initial assault by advancing over the flooded sections of the canal. At 5:20 am on September 27th, all four divisions of the Canadian Corps attacked in total darkness taking the Germans by surprise. 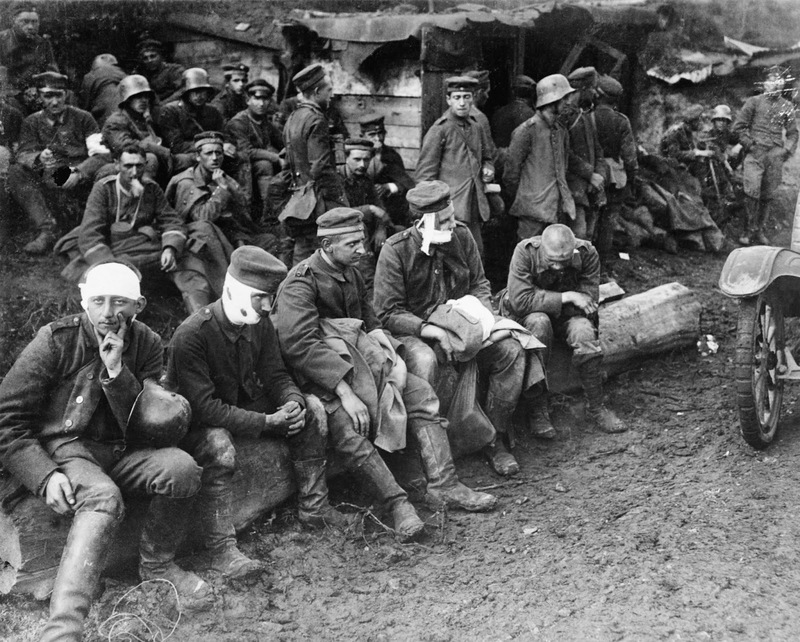 By the middle of the morning, all the German troops had retreated or been captured. The Corps met stiffer resistance as they moved on Bourlon Wood where the Germans had located their artillery on the high ground. None-the-less, all the objectives were taken by the end of the day. 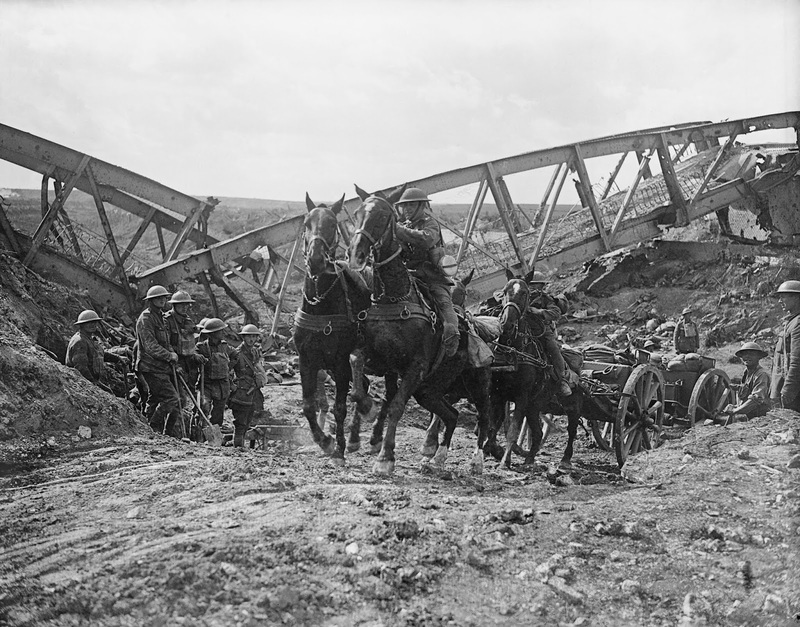 The final road to Cambrai was open. 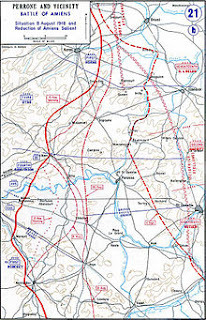 The Battle of the Canal Du Nord had breached the majority of the Hindenburg Line’s defenses and allowed the next attack to complete the penetration and begin the advance toward Germany. This attack would take place on October 9th, 1918 when the Canadians would finally liberate Cambrai. What they found was a city in flames, having been set on fire by the retreating Germans, and 2,000 homeless and starving refugees. Six Canadian soldiers were awarded the Victoria Cross for the assault on the Canal du Nord. They were Captain John MacGregor, 2nd Battalion, Canadian Mounted Rifles, Lieutenant Graham Thomson Lyall, 102nd Battalion CEF., Lieutenant Samuel Lewis Honey, 78th Battalion CEF., Lieutenant George Fraser Kerr, 3rd Battalion CEF., Lieutenant Milton Fowler Gregg, Royal Canadian Regiment and Sergeant William Merrifield, 4th Battalion CEF. This victory came at a terrible cost. Between August 8th when the Battle of Amiens began and October 9th when the Canadians entered the remains of Cambrai, the Corps had lost 1,500 officers and 30,000 soldiers. Reinforcements were urgently needed if the Corps was to remain at the forefront of the allied assaults. Private Charles O’Connor would have been finished his training around the time of the victory at Canal du Nord. He may have been on leave prior to going to the front. One could imagine him taking in the sights of London, enjoying a performance at a music hall or spending time with his buddies from camp. We have no indication of what he might have experienced while in England as no record remains. What we do know is that his service record shows that on October 21st, 1918 he was assigned to the 15th Battalion (48th Highlander of Canada – Toronto) CEF and that on October 22nd he arrived in France on his way to the front. 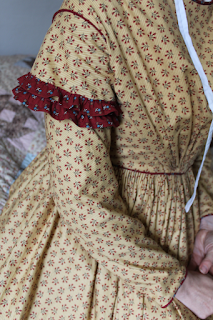 My first major project was a 1840s house dress which I’d like to share with you. As the new costumer, unfamiliar with what the collection contained (although familiar with many individual items from my days as an interpreter here), I was unsure which costume items were most needed. 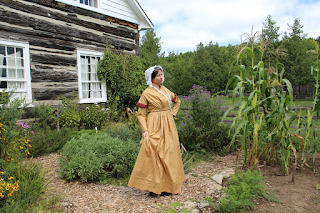 On a whirlwind training day with Janet vanDompseler, LPV’s original Costumer, she indicated that the Fitzpatrick House was quite popular with staff and volunteers and that we could always use more dresses for its late 1840s time period. It was true! With all of the summer interpreters equipped with costumes for the season, there were only two 1840s dresses left in the collection! Although it requires more hand sewing than many styles of dress in the collection, I was up for the challenge! As we only interpret the Fitzpatrick house for the 1840s, it was easy to choose a style of dress; it would be a cotton house dress. We have several patterns of this type in our collection. These usually have a full skirt with cartridge pleating, a close neckline, a slightly high waist and a bodice which is gathered at the bottom front to give a puffy triangle appearance to the chest. The sleeves on this dress are close fitting, with ruffled sleeve caps. 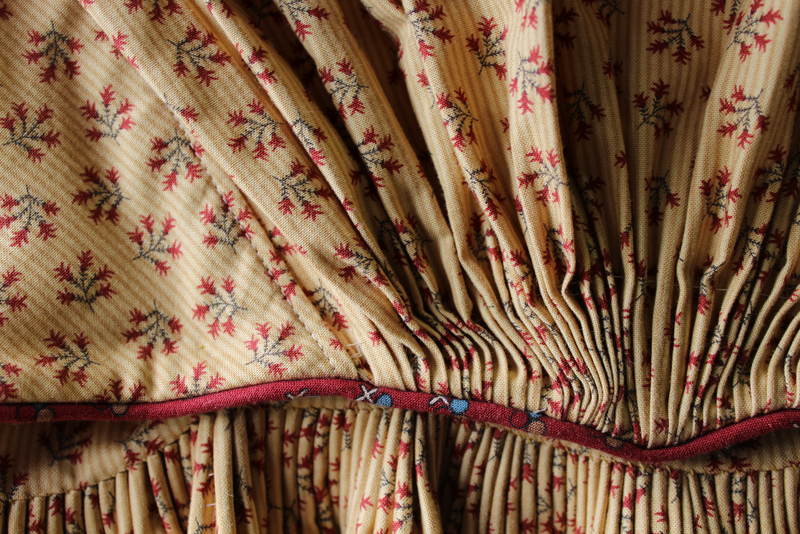 Fabric colours at this time were often non-primary or muted. Prints could be plaids, border prints, woven stripes or small print in stripes with natural motifs. Again I went to the collection, dug around, and chose a muted mustard stripe with budding twigs. 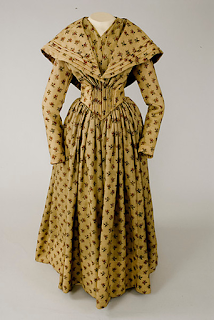 I chose this fabric based on my feeling about it and my general knowledge of the time, but much later found an image of a dress from the late 1840s which is strikingly similar, although its design includes a pelerine. In the 1840s, all sewing was done by hand. Although I am not about to go to the extremes of accuracy to sew a whole dress by hand, there are certain features which are best done by hand to get the correct look. 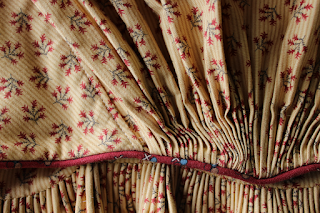 The gathering drawing in the fabric of the bodice and at the top of the skirt is called cartridge pleating or gauging. This is done by making 3 or 4 rows of gathering at regular intervals. I used the stripes on my print as guides to insert my needle, although there are transfers that can be used for fabric without stripes (this also may be a little more accurate). During the 1860s as the sewing machine became more prevalent in homes, cartridge pleating went out of style. I can understand why; the skirt on this dress is a full three widths of fabric. That’s a lot of stitching! 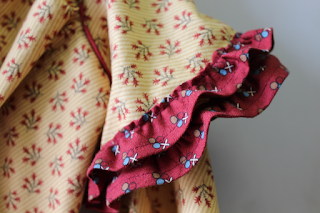 I finished the neckline, bodice bottom and cuffs with a contrasting fabric in a deep rust red which was drawn from the buds of the main print. I am hoping to make a second bodice from the main fabric, so it made sense to use the contrasting fabric for the ruffles as well and I am very pleased with the result! Cassandra Shaw is the current Costumer at Lang Pioneer Village Museum. She always has her hands busy with a creative project and is a proud owner of a Biology degree and a pair of roller skates. When my grandfather, Charles O’Connor of Whitby, Ontario, was inducted into the Canadian Army in May of 1918 the situation in Europe was a desperate one for the allies. As previously noted, the Bolshevik Revolution of November 1917 had led to Russia signing a separate peace with Germany. This, in turn, freed up hundreds of thousands of German troops to transfer to the Western Front tipping the balance of power in their favour. The Americans had been in the war since April of 1917 but the logistical and training requirements of building a huge army virtually from scratch was taking a great deal of time. Their commander, General John Pershing, resisted pressure from his allies to commit American troops as reserves for the French and British armies. This desire to be a “national” army is understandable but, had the Americans insisted on this course of action, it is unlikely they would have been able to field a sizeable force on the battlefield until 1919. 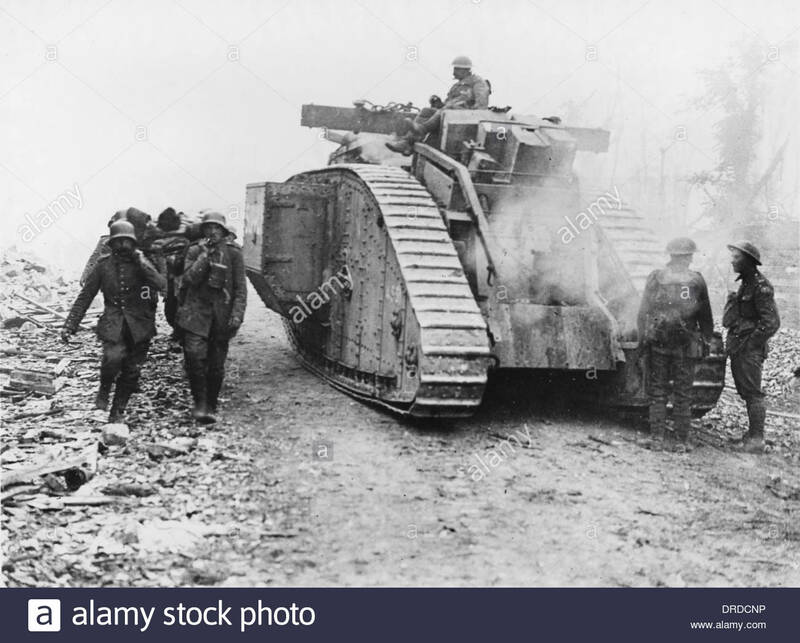 In the meantime, the Germans launched their spring offensive, code named Operation Michel, in March of 1918 in an attempt to split the British and French armies and reach Paris before the American Expeditionary Force could effectively intervene. By the end of May, the Germans were just 50 miles of the French capital. Close enough to shell the “City of Light” with their long range railway artillery. Once again, much as they had done in the fall of 1914, the allies held firm on the banks of the Marne River and the German offensive’s momentum was halted. 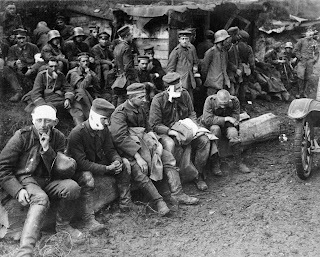 German offensives continued though the spring and summer but, in doing so, the German High Command essentially exhausted their army. The longstanding naval blockade of Germany was having a serious impact on the German people who were at serious risk of starvation. It is well documented that on many occasions during this series of offensives, the ill-supplied German troops having captured allied territory, would stop fighting. Their officers would be unable to stop them from looting the supplies of food and drink they found in abundance behind the allied lines. By August of 1918, the allies, having managed to check the German progress, were ready to launch a series of counter offensives in one of which the Canadian Expeditionary Force would play a leading role. 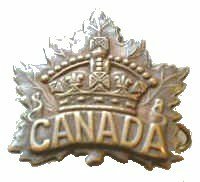 From August 8th until November 11th, 1918 Canadians would be in the forefront of a campaign which would become known as the “100 Days”. It would gain the Canadian Corps a reputation for valour but at a terrible price. On August 8th the Canadians were assigned the important objective of attacking a German held salient near Amiens in France. Secrecy was extremely important as the allies knew that if the Germans heard that the Canadians were moving into a sector they would know that an attack was imminent. Such was the respect the Canadians had earned from both sides after their victories at Vimy Ridge and Passchendaele. Prior to the attack, part of the Corps was sent north to Ypres in Belgium to deceive the Germans. As part of the surprise, the attack began at night with no preliminary bombardment. 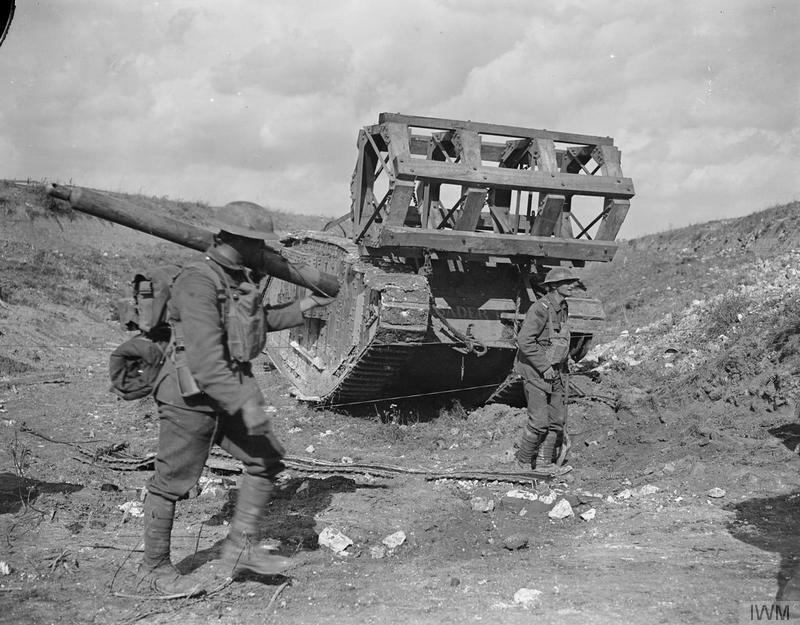 The Canadians, flanked by Australian and French troops and supported by British tanks, advanced 20 kilometers in 3 days. German Chief of Staff General Ludendorff, declared August 8th to be a “black day for the German Army”. August 8, 9 & 10 were also costly days for the Canadian Army having sustained 9,074 casualties, only slightly less than at Vimy 16 months before. At this point, my grandfather, Pvt. Charles O’Connor, was in the British Isles and assigned to the 12th Reserve Battalion at Witley Common in Surrey, England where he had been undergoing combat training since July 3rd, 1918. The camp was one of three facilities in the Aldershot Command area established by the Canadian Expeditionary Force. He would remain in Camp Witley until October of 1918 when he would be transferred to France.